Have Yourself a Merry Little Christmas is my all-time favorite Christmas song. Each year I share a new version of this song in free printable form for you to add to your holiday decorations. 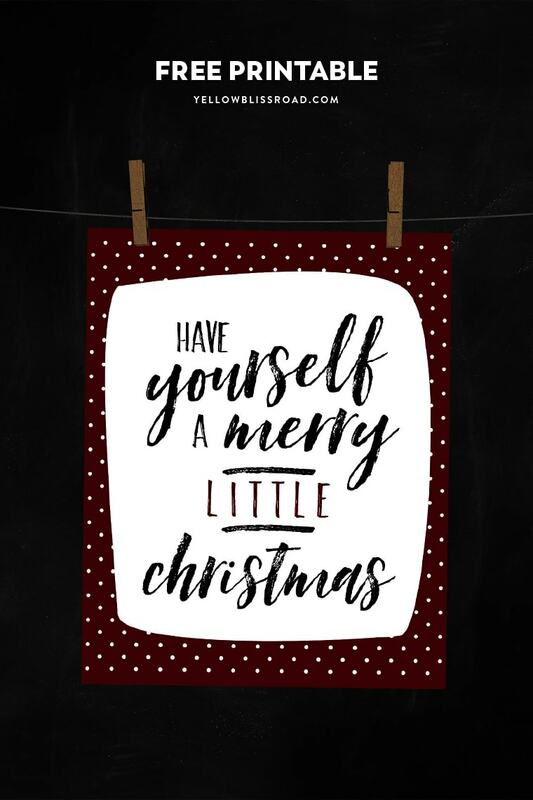 I’ve shared year after year that my favorite Christmas song is “Have Yourself a Merry Little Christmas.” I love the simplicity and vulnerability and positivity of this simple holiday ballad. I am always looking for new versions of the song to add to my collection and this year my new favorite is this one by Dan + Shay. I love the harmonies and the acoustic guitar with the piano. So pretty! Framed artwork – find a cute frame and tuck this free printable in there. Hang it on the wall or stand it up on a side table for a fun and festive decoration. Christmas cards – Print the 5×7 version of the print and cut it out and glue to a piece of paper to make a cute Christmas card. For that size card these envelopes are perfect (affiliate). Christmas gift tags – Set your printer up to print multiples of the same image on a page. HERE are instructions for how to do that. (Scroll to “Method 2”). 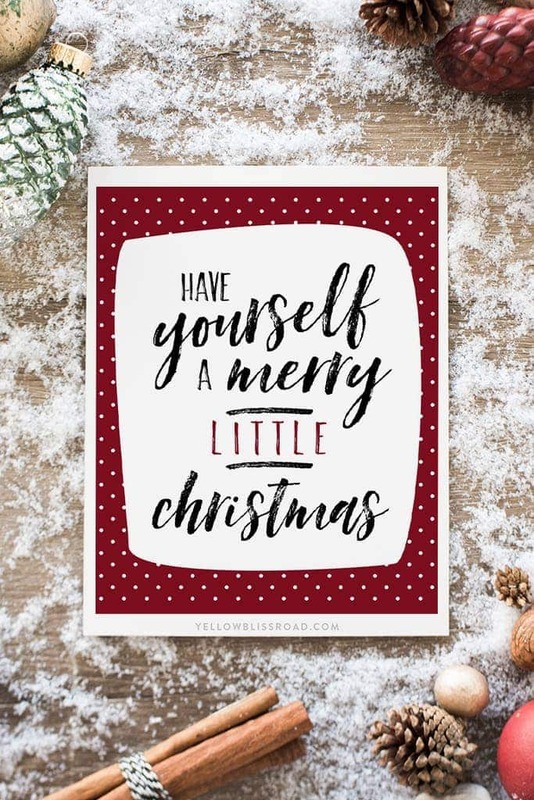 Whichever way you choose to use this adorable Christmas printable, please remember that all freebies on this site are for personal use only and are not to be sold or redistributed in any way. Thanks for helping to keep the content on this site free for everybody! Click the graphic below to download the free printable. Size is 8×10″ and you can use the instructions in the link above to resize. Looking for more inexpensive ways to decorate for Christmas? 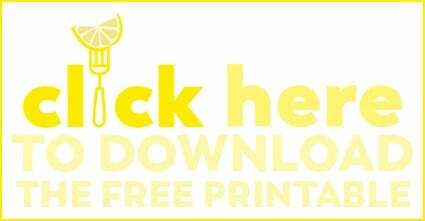 How about these free printables? I love your ideas so much I am going to follow you. Thanks! Glad to know it wasn’t just me that couldn’t get it to print. Oh no! It’s fixed now. Sorry about that!